I rarely put eyeshadow even when I need to look nice for an occasion, unless it’s really necessary for my eyes to look alive, alert and awake (in other words, enthusiastic!). Having almond eyes for me is challenging. Honestly, it’s one of my insecurities growing up and has been many times compared to Garfield’s big lazy-looking eyes. So when I learned how to put on makeup back when I was starting doing castings, the first thing I mastered was applying eyeliner. I remember my mom would always remind me that I should always wear it to emphasise my doe-eyes. I guess this is enough reason to justify my obsession with eyeliners. It’s one of the three make up products that I cannot live without- I’ll reveal what the other two are on another post. 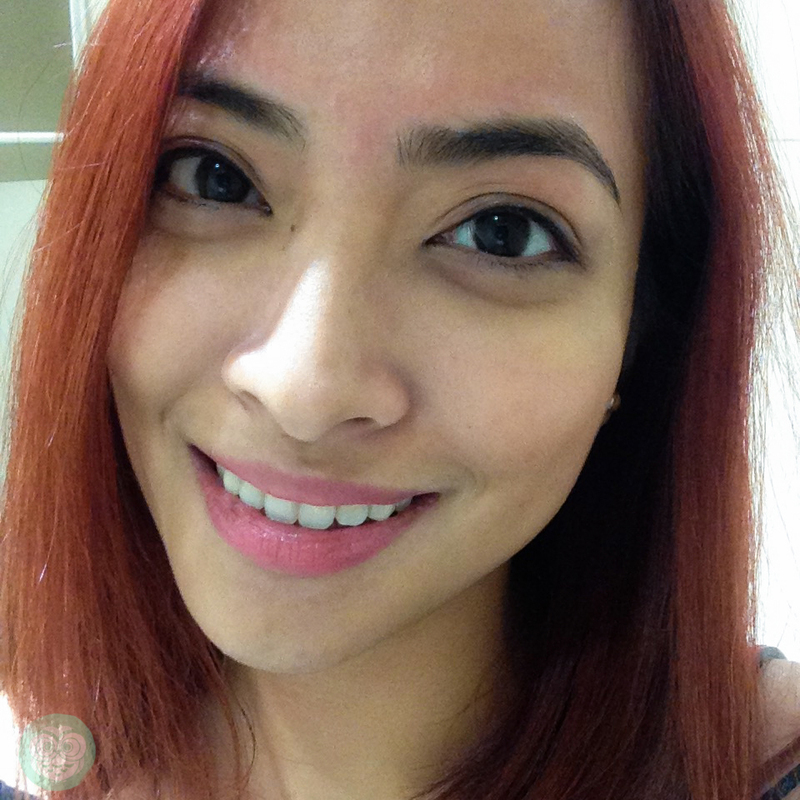 When Monique of Browhaus reached out to me to be one of the first few to try their latest service- Eye Define, I was one happy guinea pig and immediately booked for it. 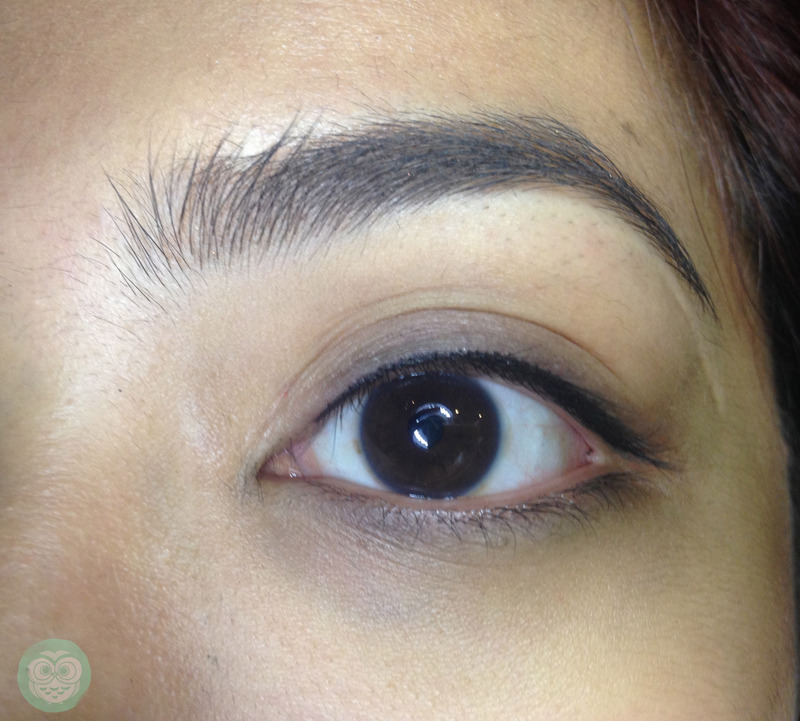 Browhaus is the first concept brow grooming reatil outlet in Singapore. A decade after and it has expanded to 13 locations, including London, New York, Shanghai, Hong Kong, Bangkok, Jakarta and Manila. 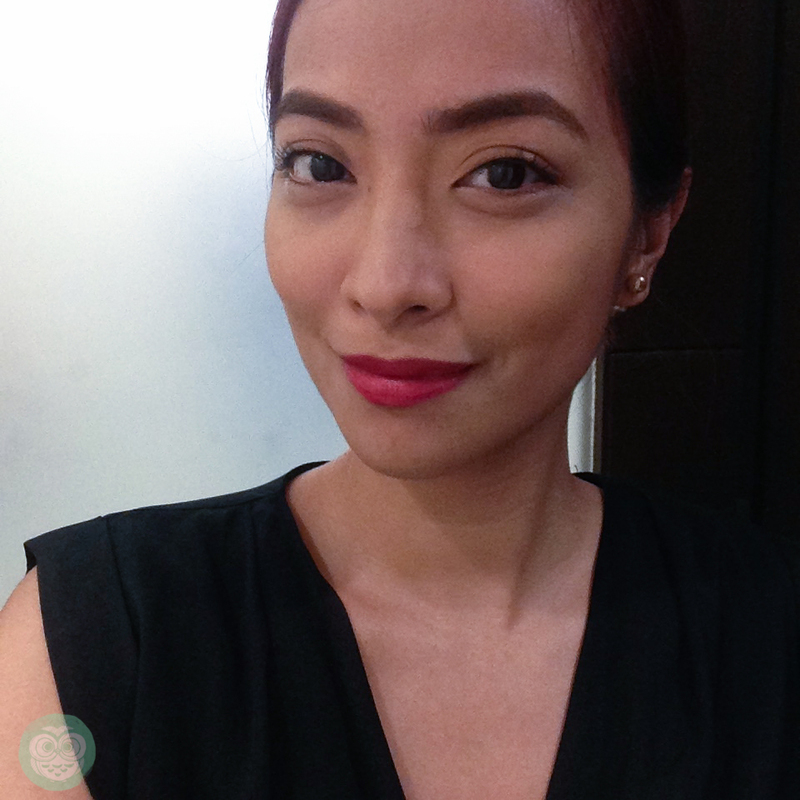 I’ve had my brows threaded a few times at Browhaus Serendra in Taguig but it was my first time at their Mega Fashion Hall branch. 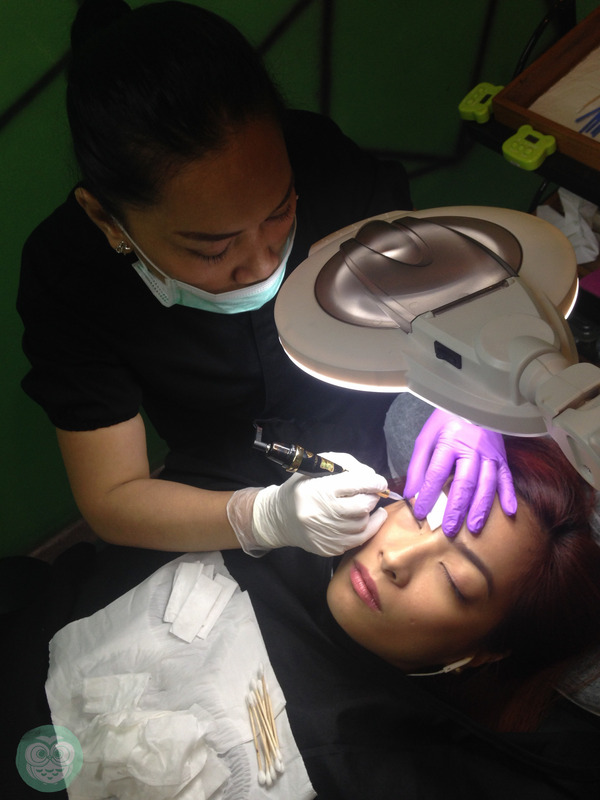 Aside from the basic threading, they also offer Brow Construction, Brow Resurrection, and Brow Tinting. Complimentary treatments such as Lash Curl Up, Lash In Bloom, Lashgraphy, and now their latest Eye Define. 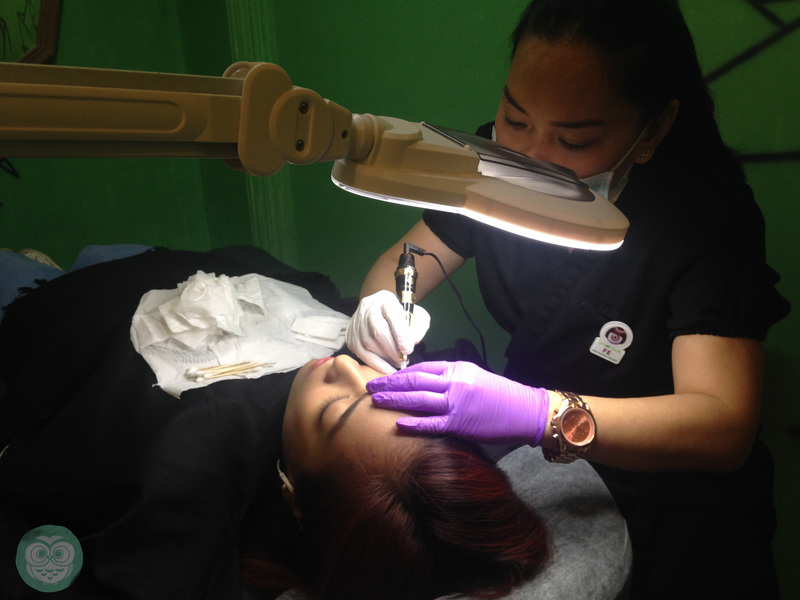 Eye Define is the latest service offered by Browhaus. 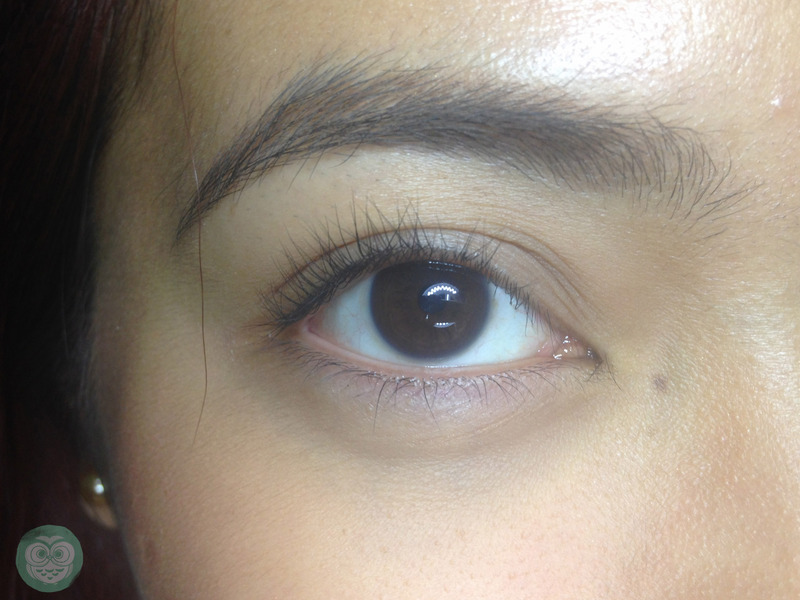 It is a semi-permanenet treatment that lines and defines eyes so that they appear brighter and fuller. The perfect solution for people who are OC with their eyes and a great partner for that perfect brow. The tool of the trade. Hihihihi. You can choose between black or dark brown tint. My therapist, Fe suggested I go for black and that it’s best to have a soft natural line. 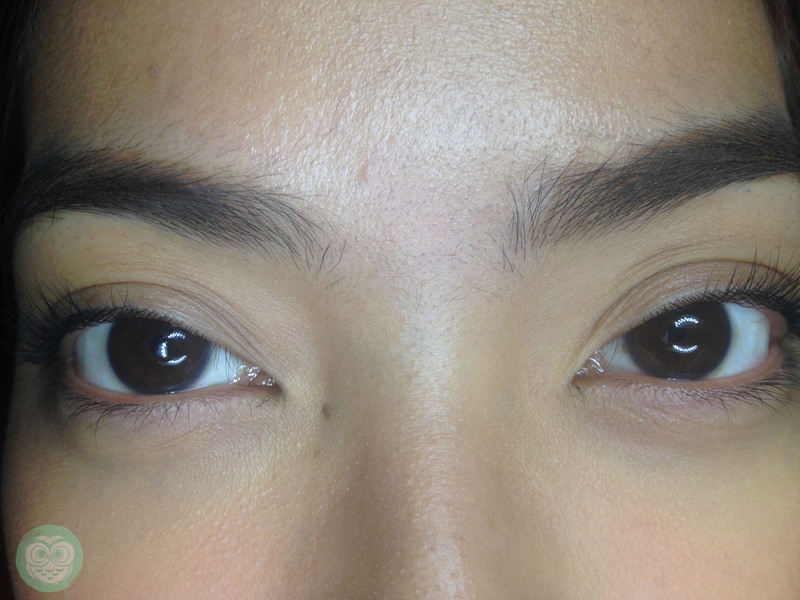 Here are the BEFORE photos of my eyes. 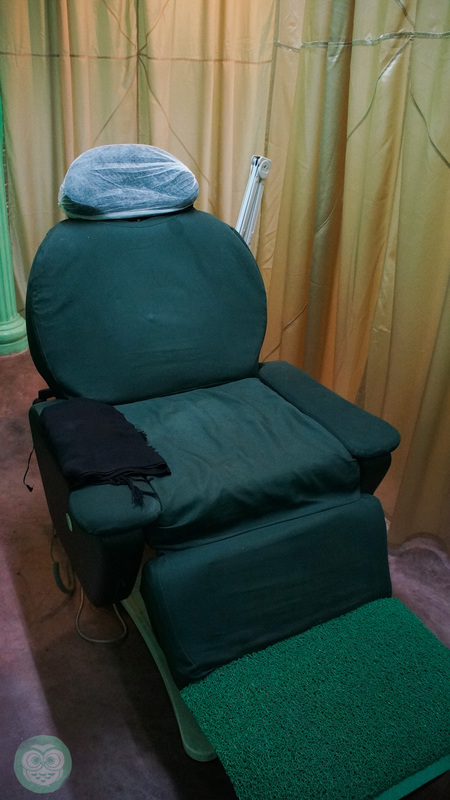 I like that their lazy boy chair makes it easier to sit still for an hour. I actually dozed off a few minutes after my therapist, Fe started on me. Eye Define takes 1 hour for the upper eyelid and 1.5 hours for the upper eyelid & lower eyelid. First they’ll apply numbing cream and let it sit for 20 minutes, then they proceed to lining your eyes. A gliding sensation of the tip of the tool is how I would describe it. Imagine the tip of a cotton bud being swiped on your lash line, this is exactly how it feels. Fe has the lightest hands that I didn’t feel any pressure or heaviness on the way she did it. But I did feel a tiny prick on the corner of my left eye, so she had to re-apply numbing cream to it. Don’t be freaked out by the buzzing sound of the tool ha. Well, I keep telling that to myself. Heehee. I feel like I’m having a tattoo done. What a badass idea which I really want but I don’t think I have the guts to do, but with an semi-permanent eyeliner, of course I was willing to do it. All in the name of beauty. Soooooo, to keep my mind calm and away from the buzzing noise, I had my earphones on. A few more touches aaaand it’s done! Here are my AFTER photos. 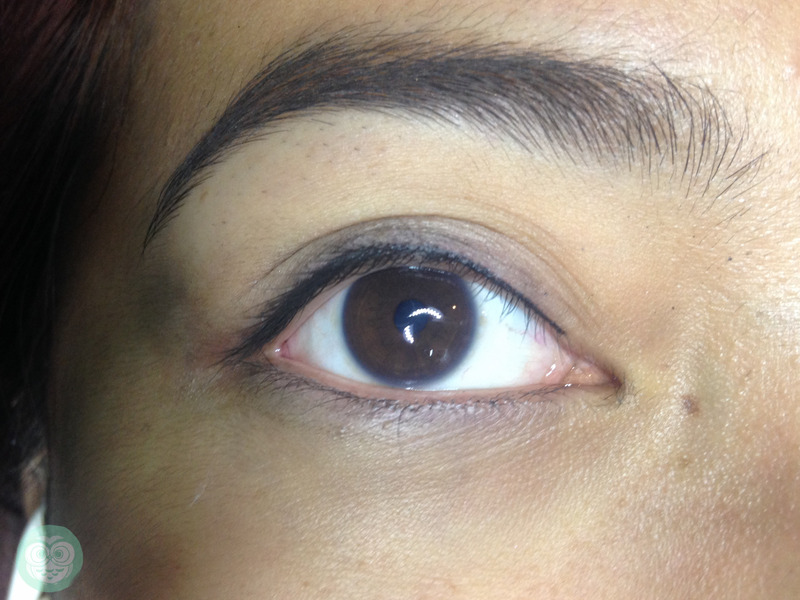 See the black smudges- like what we normally have when we put on our pencil eyeliner? “Bleeding” is what Fe called it. She was able to clean it shortly after taking these photos. According to Monique it takes about 3-7 days of downtime with a lasting result of 2-3 years. Whuuuuut?! 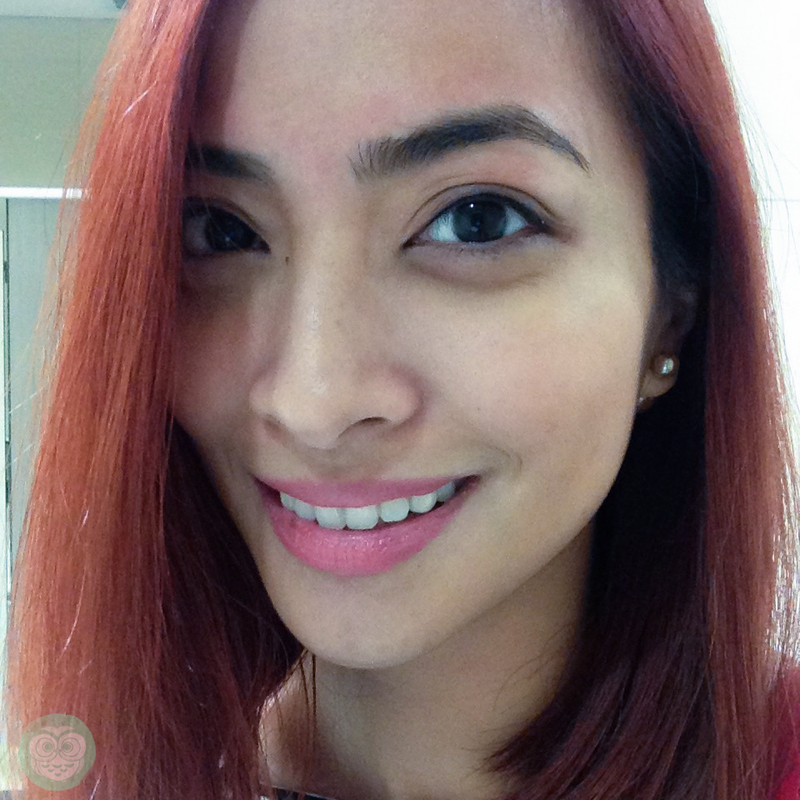 So here’s what it looks like a few minutes after the treatment. 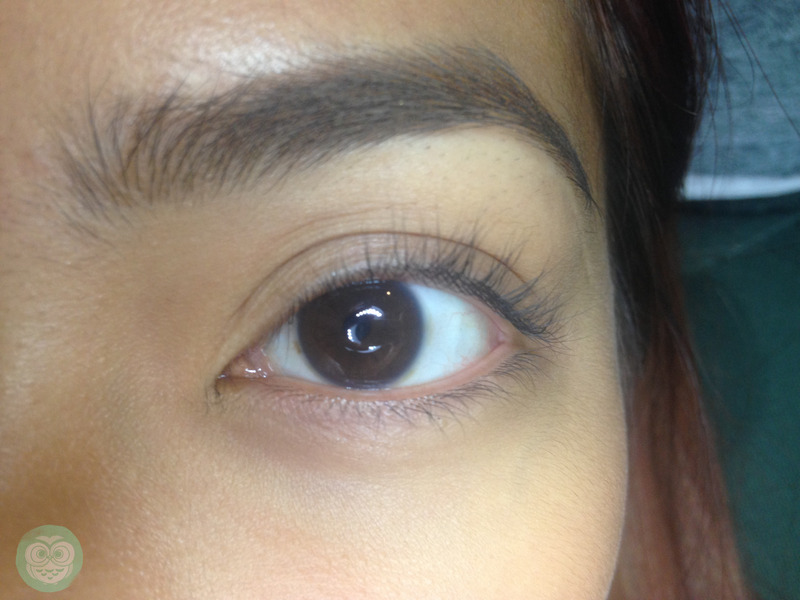 I had my eyebrows threaded, thus there’s redness around the eyebrow area. I was really tempted to request for a thicker winged line but as what Fe, my therapist suggested, better that it’s natural looking. Whadayaknow I’m super happy with the way it turned out. 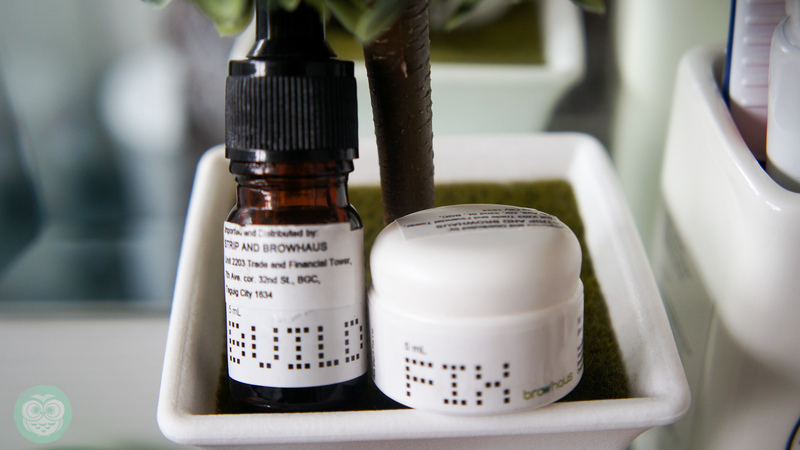 My after care kit consists of these Browhaus Build & Fix creams. They aid to help the skin recover faster. I use cotton buds to apply them on my liner for five consecutive days. It’s best to go back to your regular eye make up routine (if you apply daily) after you’re done with the the five day Build & Fix post care treatment. My therapist Fe said that I should expect my eyes to be swollen the morning after but I lucky for me, I didn’t experience it. Although, I had ink smudges when I woke up the first few days after I had Eye Define. A day after my Eye Define treatment and here’s my Valentine’s Day dinner look. No make up, save for my eyebrows and lipstick. I didn’t even put mascara and just curled my lashes. I like that it instantly brightened my eyes. Eye Define gives you the same effect of having an eyelash extension or an eyeliner- instantly making your eyes pop. I recommend this treatment for the ladies who are on the go, who want to save time and who cannot live without an eye liner. Hi Jackie! 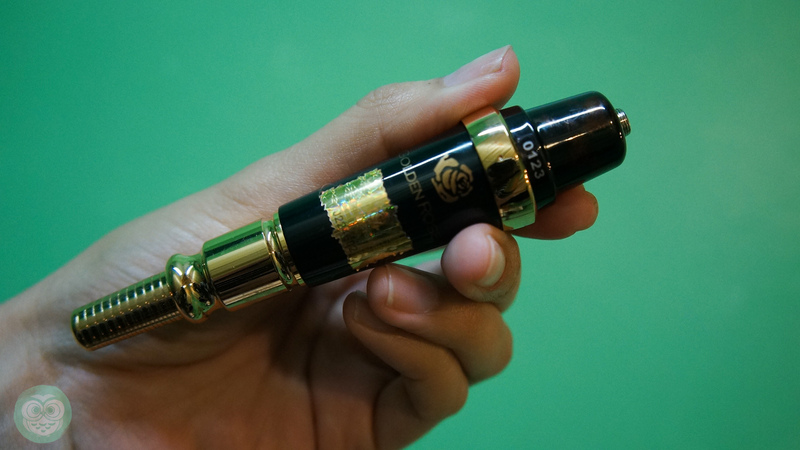 You look great with the eye define! you mentioned about the smudges a few days after you had the treatment done. Did it go away eventually? I just did the eye defined and I experienced the same thing. Smudges around my eyes from the liner. Wanted to hear from you because Browhaus said they didn’t hear of such cases. Appreciate if you can let me know. Hi Jackie, how does it look now? Are you still happy with the Eye Define?